As soon as we crossed the state line Utah’s red rock and arid landscape melted into Colorado’s brisk air, pine trees, snow capped mountains, and flowing rivers. After spending two days stretching our legs in Boulder, visiting hip eateries and enjoying the view of the Rocky Mountains, we decided to spend the night at the Morefield Campground at the base of Mesa Verde National Forest. The campground turned out to be my favorite of the whole trip! The campsites were little enclaves created by trees and with a fire pit. Deer grazed on wild grass in the twilight, and the stars shone in the absence of any city lights. The campsite was so perfectly camp-y straight out of a 1950’s outdoors magazine advertisement. 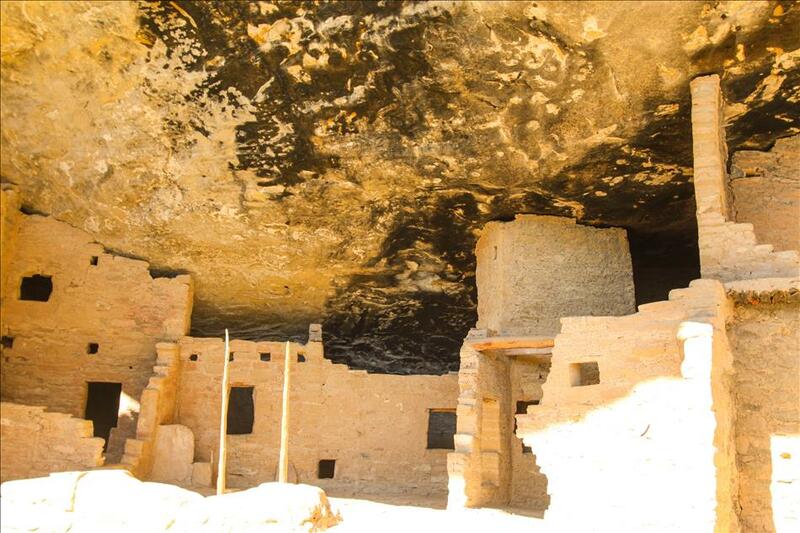 The Mesa Verde Cliff Dwellings are a must-see while camping in the area! The amazing Native American archaeological site is awe-inspiring, from the the incredibly winding drive to the top of the plateau that offers amazing views of uninhabited forest, to the actual site; the whole experience is such an adventure. We hiked the short dusty winding trail to Spruce Tree House. 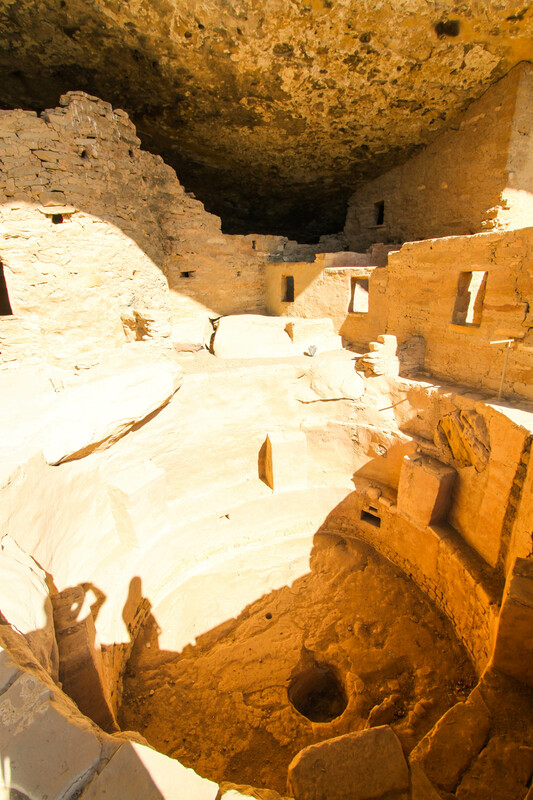 The Anasazi tribe lived in the 130 room ancient apartment complex over 800 years ago. 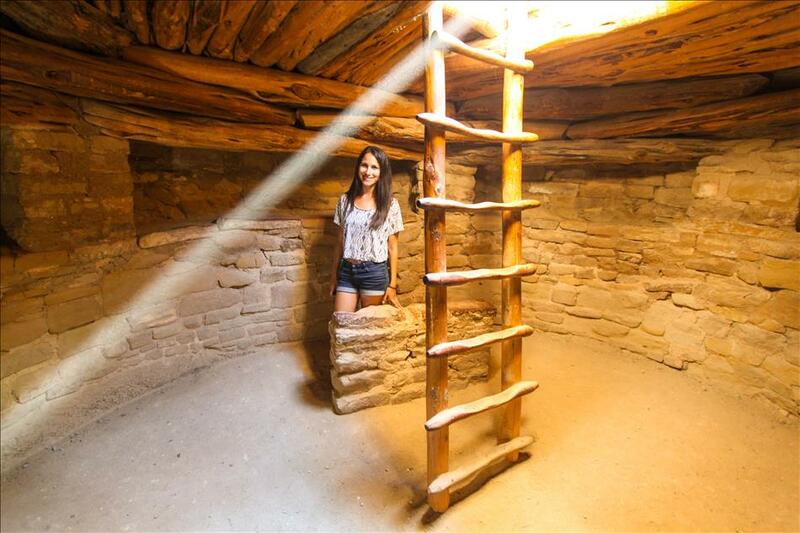 Visitors can explore is a reconstructed kiva which is a small underground house that maintained a solid 50 degrees year-round, providing a sanctuary from the heat during summer and a cozy hideaway in during the winter where a small fire was lit and ventilated to warm the room. The kiva is the cutting edge technological feature topping an already amazing archaeological site. The site gave me almost the same feelings of wonder as I felt at the ruins of Ancient Rome; a sort of magical feeling of being in the presence of something people created much longer ago than I can comprehend. At the end of a day of exploring we retreated to our absolute perfect camp ground basking in the satisfaction of the day’s adventure and roasting some weenies.